The BOOKOFF Group consists of two main business segments: the Reuse Shop Business, and the BOOKOFF Online Business. 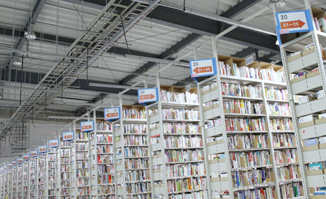 Including franchised locations, BOOKOFF operates more than 800 locations throughout Japan. Chainwide, we process more than 100 million transactions annually, offering a very competitive customer attraction model. Presently, we are expanding our product offerings beyond used books, CDs, DVDs, and games. More recently, BOOKOFF began dealing in trading cards, used mobile phones, and even private-brand BOOKOFF products. We operate 11 stores (including two franchised stores) in two countries overseas (the United States and France). BOOKOFF has moved into the purchasing and sales of an expanded array of gently used goods, leveraging the experience and expertise developed through our BOOKOFF business. Where BOOKOFF deals in books, CDs, DVDs, and games, our Reuse Business deals in used apparel, sporting goods, baby goods, jewelry, and everyday household items. 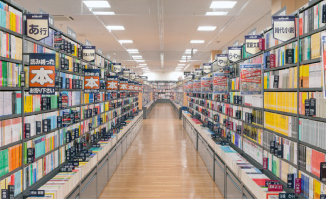 We continue to roll out new BOOKOFF PLUS* and BOOKOFF SUPER BAZAAR** locations across Japan. We believe these new store formats will be the core drivers of our business growth in the future. *BOOKOFF PLUS: Comprehensive medium-format stores handling traditional BOOKOFF items plus apparel. **BOOKOFF SUPER BAZAAR: Comprehensive large-format stores handling traditional BOOKOFF items plus apparel, sporting goods, baby goods, jewelry, household items and more. As a business, we see a large, untapped demand in the reuse market. 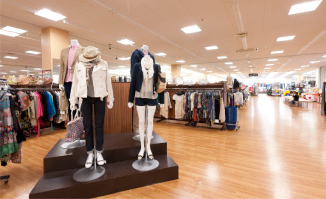 Leveraging the customer attraction power of the BOOKOFF brand, we plan to increase awareness and use of our apparel offerings, while at the same time launching new stores to tap into this demand and grow our share of the reuse market. BOOKOFF operates 14 stores (including two franchise stores) in three countries (the United States, Malaysia, France). The BOOKOFF Online Business operates the BOOKOFF Online reuse shop handling books, software, and other items via the internet. The HUGALL Business operates as a new reuse business not limited to store operations, but engaged in the purchasing and sales of a wider range of items.